If there is one trade where the accurate control over every element is critical, it would be the moving and cargo industries. Tranporting cargo and equipment needs a huge amount of logistics and logistical control and the capability to do this quickly and efficiently is critical. 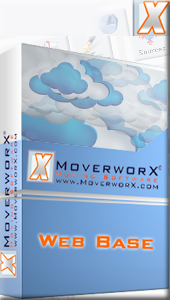 The #1 shipment industry Moving Software Web Based provider MoverworX, was established and continues to perform so that it can do everything possible to bolster the operational and logistical capabilities, by giving fully-incorporated Moving Software Web Based answers for moving companies.